If one uses VPN to access a remote network containing a My Cloud one should be able to use third party sync programs. Since FTP isn’t secure there are various past discussions on attempting to enable using SSH or SFTP to enable secure remote access to the My Cloud. Further if one has a first gen single bay (v4.x) My Cloud one could use SSH to install the unofficial CloudDAVMod app that would allow for remote mapping of the My Cloud. Isn’t that WD’s job? Why should I have to do all this? I paid for a product and expect it to work. It is. I suggest you speak to them. They’re not reading these forums. WD provides the WD Sync program for free as part of the My Cloud. They could very easily decide as they’ve done with their other software/apps to depreciate the program and no longer offer or support it. Should WD fix the software in a timely fashion? Yes. But anyone who spends even a few minutes reviewing this subforum will find that WD often takes it own sweet time to fix issues if it fixes them at all. The My Cloud is at it’s core a network attached storage device with LIMITED remote access capabilities. WD Sync was NOT available when I received the first gen My Cloud. It was introduced (for free) at a later point. So it could be argued that providing the Sync software was not actually WD’s job, but they provided it anyway FOR FREE. Around the same time that WD Sync was introduced, WD took away the remote mapping capability; which I’d argue is (per my usage of the My Cloud) a bigger loss than not having WD Sync function properly. The problems with WD Sync are long known and well discussed. If one doesn’t need remote access syncing then its better to use a third party sync program that works better and may have more features than WD Sync. Or one can continue to use WD Sync and hope (pray) WD will (eventually) get around to fixing the various problems with it including High Sierra compatibility. Enjoy your QNAP or Synology, whichever you choose. Not really that much more - depends on the hardware selection. 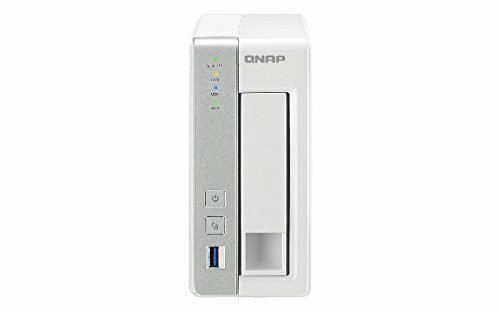 A quick look at Amazon suggests a TS-131 4tb, single bay QNAP goes for about £255. A 4tb single bay MyCloud goes for £159. If they’re in stock. As I said earlier, both my devices were bought for less than I would have paid for the WD Red drive they contained. It seems that WD still does not give solutions for WD Sync issue . Maybe it’s a good time to drop out WD. It’s ben quite some time since I upgraded to High Sierra and Wd Sync stopped working. I thought that WD would fix that in a month or so. The only thing Synology has not yet fixed is the HEIC format in their DS Photo app. But it does provide a HEIC to JPEG converter but that defeats the smaller file format. But CloudStation does work on High Sierra. Do you have a Synology NAS? Yesterday I was reading about the DS 218 play. It looks like a incredible NAS. It has a lot of features and a very sofisticated interface software (DSM 6.1). I am not a very techy guy. Although I never had trouble searching the web to learn how to use the features, I don’t like to spend my limited free time searching for solutions to problems. I prefer more simple and intuitive interface, plug and play like apple devices. 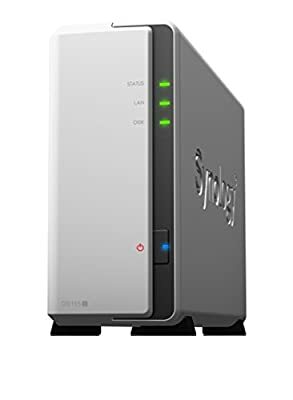 My concerns with Synology is if all that features in the DSM would slow down a medium powered hardware NAS like the DS 218 play and if it is too complicated to use. In their web page synology has 10 different mobile apps, 1 for photos, 1 for videos, 1 for music, 1 for each thing, while wd has only one. I kind like the WD approach on the Dashboard interface, but since it started to get me a lot of troubles (wd sync and UFRAW_batch) I am very unhappy with it now. Because of that I started to think of getting a WD My cloud Home, that seems to be a very simple to use NAS, but a lot of people has had bad experiences with it because it is too limite on features. Then I started to think of getting a synology. How do you compare the Synology interface to WD interface? Do you recommend one of their NAS or another one? I spoke directly with them and do not provide any estimation for when the WD Sync will be compatible with the High Sierra. Furthermore they don’t even take any accountability for the issue and the only answer they give is that for now they do not support it and ask you to just check regularly their download page for updates. Which is why my next NAS (in January) will be a Synology. Cloud Station works. It’s a shame, they sent me an email to see where the problem is … they ignore the protests that we all expressed in this forum and they still do not update the application, very unprofessional. Makes you wonder do they really not know? not obviously, but I do not want to believe that they treat users with such cynicism. but I do not want to believe that they treat users with such cynicism. I believe they are that cynical, yes. Wow My issue is, i already have MAC OD HSiera and having all kinds of issues getting says to work, drop and drag issues, seems to worked with music, but no with movies. I ABSOLUTELY AGREE with RAKING, WD needs to get its act together. Easy to blame Apple. And why should he use a third party only for it to be an issue some day and then WD will blame them. What a JOKE. Any thing you need for a cloud, apple has, and you don’t have to worry about it being faulty. Things always seem to work, and if there is an issue, Apple handles it immediately. TimeCapsule, does great backups for years, and you can hang a USB drive off of that for NAS or additions backups. Anyways, I am returning my cloud. For what is working, it is still terrible and has nothing close to Apple Cloud. Music on the shared cannot be playlist, only albums. Sorry WD, there are absolutely no benefits I see with MyCloud. Pictures is also a joke, in Apple i can still store them. Apple cloud and transfers are so much simpler then this joke. Thank you for wasting my weekend to trying to get this to work. RAKING - I totally agree with you. this MyCloud only had a purpose before clouds were really being use. MyCloud vs Apple iCloud. no comparission. Apple has it all, after I tried using MyCloud. With MyCloud, you cannot select singles, only albums unless you load all music as singles only then, there is no play list, u play music in alpa sequence. Nothing like iTunes. You might as well go to your record cabinet and load them on the player your self. Apple cloud, if i want to use wifi on the road, i just download my music to iDevice, and I’m good. MyCloud, a horror show. Beside I have Wifi in my chevy truck. Apple photos a snap easy to load and unload in iCloud even at Disney. MyCloud, hope you didn’t have a power failure or technical issue. It won’t work. Apple Desk Top Sync with iCloud, never an issue, doin it for years. Time Capsule, and connected USB, handles what i need as NAS, Backups, Restores, etc. When you buy a Caddy, don’t use VW parts. My Cloud I see no advantage. After attempting to install it, thats another maintenance i don’t need to maintain. Apple Family connect plan works for the entire family, without training and maintenance. I mean also, lets face it, iTunes, Spofiy, Pandura, etc, what else do u need on the road. And this OS H Sierra, issues, don’t need that everytime there is an IOS or OS change. Maybe that is why apple is so successful. And responses posted ? wow no support. My entire desktop syncs with Apple iCloud with out any issues, and i don’t have to worry about using home power if i am out of town. My excel, word, pages, numbers, ppt, all work well. Does not work with MyCloud, cannot handle the ext. After evaluating MyCloud, RMA back to the big A. Now to get my Mac back in order, it created a mess.